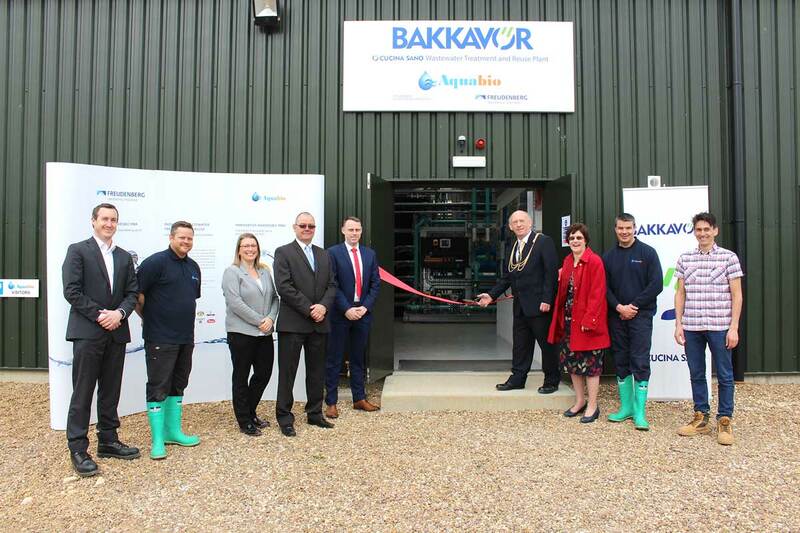 The opening of a multi-million pound state-of-the-art water treatment facility has been hailed as a success. The facility at Bakkavor’s Cucina Sano site specialises in produces Italian ready meals for Marks & Spencer. The new instalment, which opened earlier this month, enables more than 80 per cent of the water used to be safely recycled. It has also cut traffic flow to and from the site eliminating approximately 130 road tankers per week. The plant treats up to 700,000 litres per day, roughly the volume of the new swimming pool at Perdiswell Leisure Centre in Worcester. For further information please contact Steve Goodwin, Managing Director, Aquabio Ltd on 01905 641 966.